Whoever says you can’t get good meat on the Amalfi Coast hasn’t been to this gem. 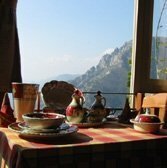 Located high above Positano in charming Montepertuso, this family-owned and operated home style restaurant offers indoor and outdoor dining. 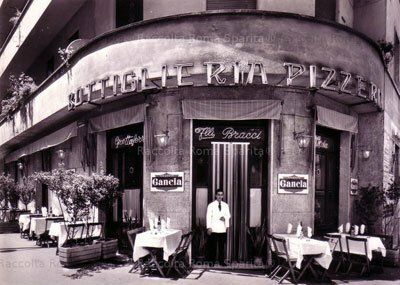 Don’t worry about ordering, just nod your head for platters of antipasti, pasta and meat (pomodoro e mozzarella, fegatini e patate, affettato della casa,) and the list goes on. Six fresh pastas are served and the mouthwatering grilled meat plate includes lamb shish kabobs, chicken, rabbit, pork and duck. Fresh fish and divine desserts. Restaurant provides transportation to Montepertuso from Positano; call them. Open daily for lunch and dinner. Reservations recommended.